Google's first designed driverless car will leave the company's test track this summer and make its debut on public roads. The move marks a major step forward in Google's driverless car project - and comes only days after the company admitted its first batch of driverless cars had been involved in 11 accidents. Up until now, Google has been testing out 23 Lexus SUVs kitted out with its driverless technology on public roads. But the prototype hitting the roads this summer is the first built from the ground up as a driverless vehicle. The new car is a pod-shaped two-seater that has no brake or accelerator pedals or steering wheel. Its sensors are contained in a black module, placed on the roof of the car. Google says the car is "light on creature comforts" with two seats with seatbelts, space for passengers' belongings, stop and start buttons and a screen. Since the cars lack other basic safety features - like airbags - their speed is capped at 25mph. 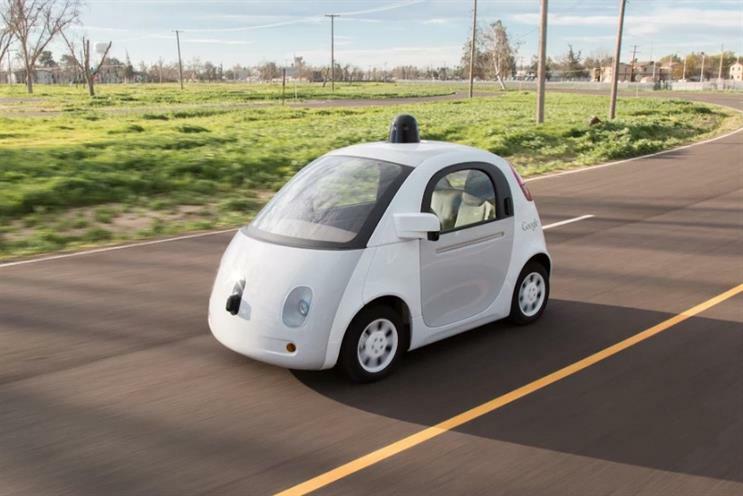 During the public trials, Google will equip the vehicles with a removeable steering wheel and brake and accelerator pedals. The cars will always have a human driver to take over if necessary, as per Californian road rules. Google will stick to "familiar roads" in Mountain View, where its headquarters are located. The company's ultimate goal is to "transform mobility", both by reducing accidents, making traffic flow more efficiently and giving autonomy to those who can't drive a car.